We've been a no show on the blog for another month! Nine of those days I have a very good excuse for, the other 30 I don't. I'm trying to back-post to get caught up. 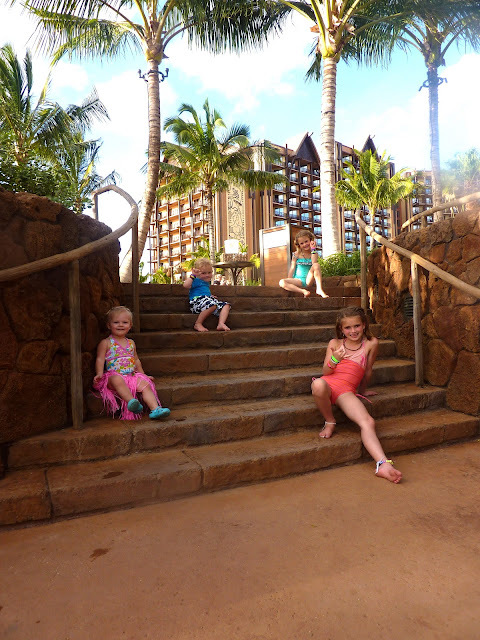 Major Event: a vacation of a lifetime at the new Disney Aulani Resort on Oahu. Everything about the resort was first class. The weather was amazing, the beach and grounds impeccable. Brent's mom was with us for 5 days. I wouldn't change a single thing, unless I could afford to stay there for 3 weeks instead! I'm so glad you guys had a fun time! It looks beautiful!